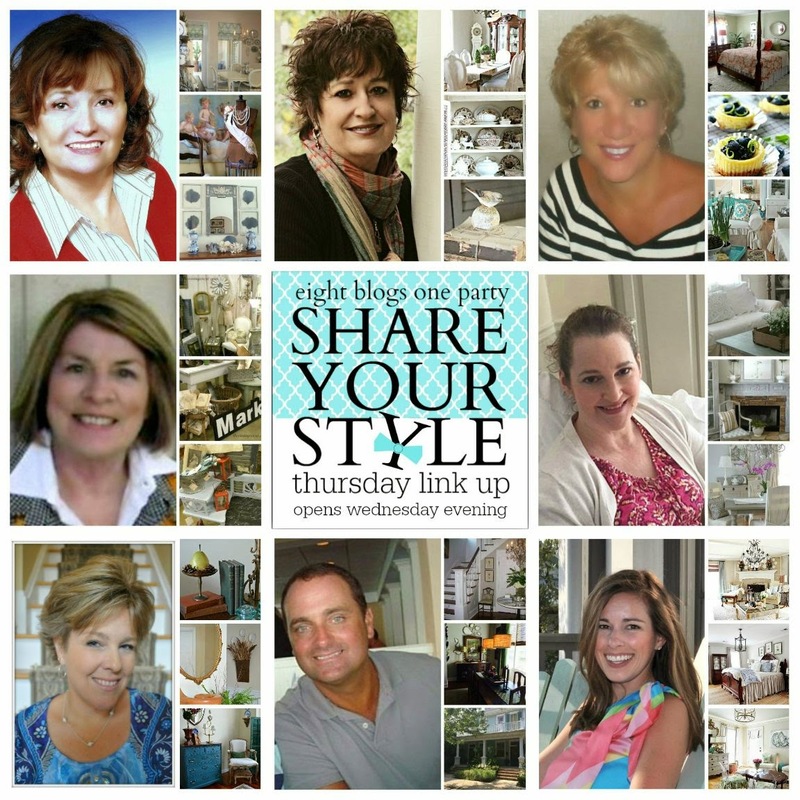 I am so very excited to be joining 7 other bloggers in hosting the very first Share Your Style link party. This party has been a couple of months in the making and is my first time to be part of such a great group who have followed me since the very beginning of my blogging days. Thank you Sherry of No Minimalist Here for inviting me to participate in the weekly blog party, Share Your Style. You have been a tremendous supporter of Uptown Acorn for a while, and I appreciate it. I certainly hope you all will follow along. Please grab the button on my sidebar when you link up. Thanks for dropping by and I hope you enjoy the party, y'all. If you do not already follow Uptown Acorn, please do so. I would appreciate you following me through Google Connect, Instagram, Facebook, and Bloglovin'. How fun, Ron!!! I just added my link to a darling beach cottage that I have been working on. Thank you for hosting! Love seeing what everyone is sharing! P.S. Love the new festive look to your blog, too! Hello Ron! I'm a new follower, and just want to say 'hello' and congrats on the new link party!